If you’re feeling adventurous then this is the bar for you! 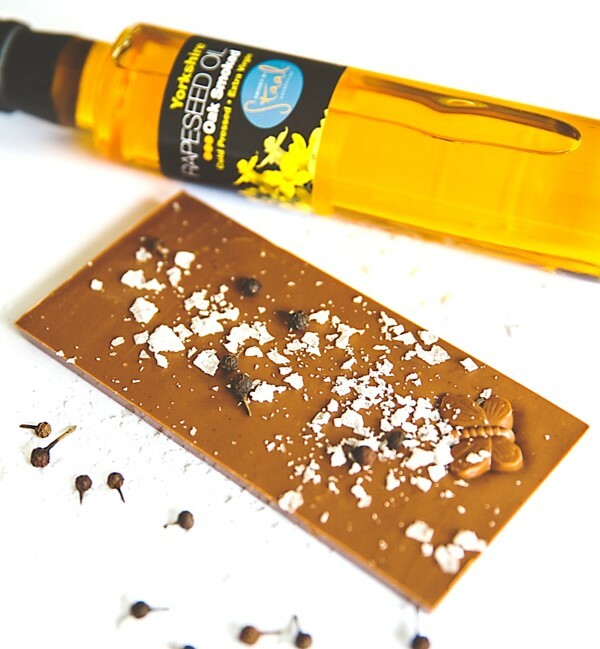 Smooth and creamy milk chocolate is combined with the award winning Oak Smoked Yorkshire Rapeseed Oil, balanced out with Maldon Sea Salt and lightly spiced with fragrant Indonesian cubeb peppercorns. This new flavour of bar is quickly becoming one of our best sellers! Milk chocolate (sugar, cocoa butter, whole milk powder, cocoa mass, emulsifier: soya lecithin, natural vanilla flavouring), oak smoked Yorkshire Rapeseed Oil (3%), Maldon sea salt (0.6%), ground cubeb peppercorns (0.2%).